Alexander Electrical Services (AES) is committed to developing long-term relationships by establishing trust, confidence, and loyalty with our customers. The value that we can bring to your project is not limited to the electrical installation alone. Our philosophy is very simple: We believe in providing the highest quality work in a timely manner. Our primary objective is to allow our clients to focus on the overall project, with the utmost confidence that qualified professionals are meeting their electrical needs. We combine solid engineering with real world practicality. The result is a safe and efficient electrical design and project. I am very proud of our accomplishments and our team. We owe our success to our dedicated professional workforce and our customers. It is with great pride that I offer my personal commitment to the successful completion of any project we perform for your company. 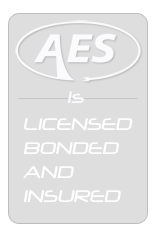 At AES we understand that our future depends on your satisfaction. We look forward to the prospect of working with you in the future. 2008 © Alexander Electrical Services, Inc.